With the release of the Sony VPL-VW285ES, Sony continues to lead the industry in bringing the cost of native 4K projectors down to where they are affordable for a wider consumer audience. At the heart of the VW285ES is a light engine featuring three native resolution SXRD chips with 4096x2160 pixels per chip. The release of this 4K projector at $4,999 marks the first time in the industry's history that a native 4K projector comes to market under $5,000. Released at the same time was the Sony VPL-VW385ES priced at $7,999, a higher contrast version of the VW285ES that adds (1) Picture Position memory (automatic one-touch lens readjustment to accommodate different aspect ratios for Cinemascope constant-image-height installations), (2) Built-in Auto Calibration to maintain color balance over time, and (3) a dynamic auto iris. We do not have the VW385ES in house, so cannot comment on the comparative difference in contrast between it and the VW285ES. The VW385ES carries a contrast rating of 200,000:1, but Sony has not published a contrast rating for the VW285ES. We can say that the VW285ES' reflective SXRD chips give it sufficient contrast and black levels to make it quite competitive in its price category. The Sony brand is synonymous with excellent picture quality and the VW285ES does nothing to diminish that reputation. Two aspects of the picture are particularly outstanding. One of course is what you'd expect -- the extremely sharp image. The VW285ES' ability to resolve fine detail like hair and fabric texture is unexcelled due in part to the native 4K SXRD chips and in part to the precision lens. Solid contrast also contributes to the impression of image sharpness. There is of course a huge debate over whether the native 4K resolution chips in the VW285ES give it a resolution advantage over competing projectors that feature TI's new 4K UHD DLP chip. Fortunately, we have the BenQ HT8050 on hand, which is the sharpest of the DLP based 4K projectors that we've seen thus far. This makes for a perfect side by side test. In this side by side, the VW285ES and the HT8050 can at times each look a bit sharper than the other, but the perceptual difference is not dependent on the resolution of the subject matter, but rather the contrast and color saturation of the subject matter. The VW285ES has a latent contrast advantage overall, so when viewing high contrast subject matter, the contrast of the VW285ES tends to make the image appear sharper independent of the native resolution of the chips. Similarly, high color saturation subject matter tends to look sharper on the VW285ES. On the other hand, remove saturation and contrast, and it is a different ball game. So for example, the fabric detail in a black suit or the hair in a gray beard can actually look a bit sharper on the HT8050. In the movie Lucy, Scarlett Johannson's rich blonde hair looks sharper on the VW285ES, and Morgan Freeman's curly gray hair looks sharper on the HT8050. At 00:26:10 in this film, Freeman is giving a Powerpoint presentation with black text on a white screen, and the text is more legible on the HT8050 than on the VW285ES. Overall, however, the VW285ES gives the impression of a sharper video image with full color subject matter. With fixed graphics like the FBI warning screen or the OPPO BDP-203 blu-ray player's initial menu screen (which we used for this test), there is no difference in image sharpness between these two projectors. Both look equally razor sharp, although the VW285ES is again higher in contrast. Thus, from what we see in this comparison there is no practical difference in visible detail resolution that is related to the physical resolution of the imaging chips themselves. 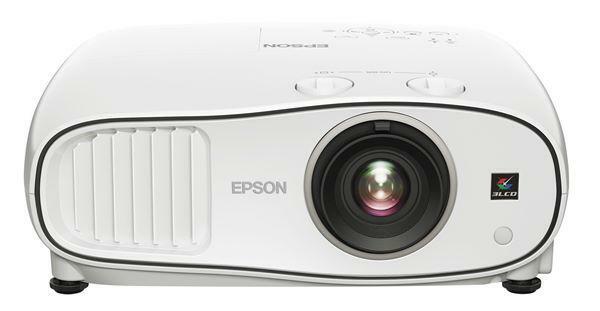 However, these two projectors do have significant differences in contrast, black level, and color rendering, and it is these differences that account for the subjective impression that the VW285ES has the edge in ultimate video image sharpness. To no surprise, everyone's attention is riveted on the 4K resolution issue. But the other outstanding performance factor on the VW285ES is the precision color balance in the D65 color presets. You don't need to bother calibrating this projector to get a perfectly beautiful, natural, and extremely satisfying video picture. Just select Cinema Film 1 or 2, or Reference, and you're all set. All three of these modes put out close to 1300 lumens, making for a noteworthy oddity--a projector that is video optimized at close to its maximum lumen rating of 1500. In point of fact, these are the brightest operating modes on the projector. Selecting the other preset color modes will give you either a warmer or cooler picture, but in all cases a less bright one. Brightness uniformity is another stellar performance factor, measuring an outstanding 91%. In general we consider uniformity of 60% to be poor, 70% fair/mediocre, 80% good, and 90% excellent, based on the performance range of today's home theater projectors. Mediocre uniformity is one of those things you can get by with since viewers usually do not notice brightness variations across the screen in a video image when uniformity is low. But you're not seeing the picture the way it was intended when uniformity is not great, so it is exciting to see projectors like the VW285ES at 91%. Contrast Enhancement. The VW285ES has a contrast enhancement feature with four options - Off, Low, Medium, and High. This control has a relatively subtle impact on SDR sources, creating a slight brightening effect on highlights as you move from Off to High. However it has much more influence on the HDR picture. As an overall effect, it boosts highlights and generally brightens the picture as you move from Low to High, at the very real cost of some contrast in the midtones. As a practical matter it can come in quite handy as a means of compensating for the unpredictable output levels in HDR discs. There is no optimal setting for the Contrast Enhancement control. When viewing Blade Runner in HDR, our preferred setting was Off; this gave us a magnificent rich, super high contrast image that needed no help. Conversely, when viewing Bourne Identity, the preferred setting was High simply because the picture was too dark otherwise. The VW285ES can produce a solid, reasonably bright HDR picture with high contrast and saturation as long as the source material and calibrations are matched and optimized. At the moment HDR sources are all over the map, so no one HDR calibration on any projector fits all HDR sources. This of course is not the vendor's fault or the projector's fault. It is simply a sign of the industry's growing pains with a new technology. Brightness. The Sony VW285ES carries a brightness rating of 1500 lumens which is not all that bright. However in video optimized mode it puts out about 1300 lumens, or just a hair under spec, which is quite unusual. Many home theater projectors are lucky if they can deliver half of their rated lumen spec once they've been calibrated for optimum video. By comparison, the BenQ HT8050 is rated at 2200 lumens, but it measured 1267 in video optimized mode. So the VW285ES is competitive in brightness despite its low maximum lumen rating. The Preset Color Modes. There are eight preset color modes that can be modified by the user. There is also one additional custom User mode that you can do whatever you want with. The brightest of the preset color modes are Cinema Film 1, Cinema Film 2, and Reference, all of which are calibrated to D65, and all of which, practically speaking, put out the same lumens. Of the remaining color modes, four are cooler in temperature and are calibrated to about D75; these are TV, Game, Bright Cinema, and Bright TV. The Photo preset stands out as the warmest of the options, calibrated to about D55. For some reason, on our test sample, all five of these presets measure about 10% less bright than the D65 modes. Sony indicates that this is unexpected. It surely was for us since our Road Test of the VPL-VW365ES showed essentially equal brightness between the Bright modes and the Cinema 1 mode. So at this writing, the lumen output on these modes is being researched, and if we find that the measurements presented below are not representative of typical production units, we will update this part of the review. Color Temperature Presets. In addition to the color modes just noted, the VW285ES has a separate menu control over preset color temperatures. The options are D55, D65, D75, and D93. Compared to brightest D65, the D75 setting is 10% less bright, D55 is 11% less bright, and D93 is 21% less bright. For old B/W classic film fans, make a note that D55 is the optimum color temperature for viewing B/W films as they were seen in theaters in the 1940s. D65 is too cold and neutral. So when you throw Casablanca onto your screen with the VW285ES, you have the option to select either the Photo color preset, or the D55 color temperature, to easily recalibrate the projector for the optimal viewing of B/W films. Eco mode There are two lamp operating modes, High and Low. All preset color modes default to High and it is up to the user to reset the projector to Low if desired. Selecting Low reduces lumen output by 29%, and noticeably reduces fan noise. Zoom Lens Light Loss. The 2.06x zoom lens is 23% less bright at the telephoto end than it is and the wide angle end. This is a comparatively modest loss, as zooms of this length can often lose 35% or more. Brightness uniformity. The VW285ES turns in an excellent 91% reading on brightness uniformity, both at the wide angle and telephone ends. Input lag. The projector has a Game mode with a latency reduction feature. When on, we measured a lag of 36 ms on a 1080p signal. When off, the lag is 122 ms. Sony indicates the anticipated latency for a 4K 60p source will be 55 ms, although we did not test input lag with this source. 4K Signal Connectivity. Dual HDMI ports are both HDCP 2.2 enabled. 4K HDR 60p 10bit (for HDR10/HLG). Both ports accept signals up to 13.5 Gbps bandwidth. Fan noise. In High lamp mode, fan noise is relatively low and unobtrusive, but it is not stone quiet. If the projector is sitting right behind you, you would notice the audible noise during quiet interludes of a film. If ceiling mounted, it will be less of an issue. In Low lamp mode, the fan noise drops noticeably to very quiet. On the other hand, in High Altitude Mode, the audible noise becomes quite obvious, and users located above 5000 feet elevation will probably want to take steps to inhibit the noise. 3D. All of Sony's 4K home theater projectors including the VW285ES are 3D capable, but we did not test 3D in this review. UPDATE Re 4K HDR 60p (11/28/17): When the VPL-VW285ES projector receives a 2160p HDR signal at 60 fps with 10-bit color depth, it will internally process that signal as an 8-bit signal, which may result in visible banding on some material, typically 4K HDR games in 60p. This does not affect 4K HDR movie content which is typically 24 fps. But when viewing 4K HDR 60p sources, users of the VW285 (as well as VW385 and VW675) will need to make some compromise. One compromise is to turn off HDR in the player and view the content in SDR. Another, with some devices like the OPPO 4K player, is to maintain the HDR image at a reduced framerate. In theory, the 13.5 Gbps bandwidth is sufficient to process 4K HDR 60p 10-bit in 4:2:0, but the VW285ES, the VW385ES, and the VW675ES all currently down-res to 8-bit instead. No Lens Memory. This feature, which Sony calls Picture Position Memory, supports constant image height display of various aspect ratio sources on a Cinemascope 2.4:1 screen. It is available on the VW385ES, but not the VW285ES. The absence of this feature is noteworthy due to the fact that it exists on many competing home theater projectors at or below the $5,000 price point. However, those products use pixel-shifting technology on 1080p chips, and do not have the same 4K detail resolving power as the VW285ES. Limited frame interpolation in 4K. Sony's trade name for frame interpolation is Motionflow. On the VW285ES there are six Motionflow options available for 1080p or standard def sources that give you a wide range of performance alternatives. However, only one of these options is available when playing a 4K signal. That one, Impulse, has limited effect on judder reduction and image stabilization. So there really is no Motionflow capability on 4K sources that has the same advantages of frame interpolation systems that you might be familiar with on other products. Aspect ratio. The native format of the VW285ES is 1.9:1 instead of the standard 1.78 or 16:9. So it is 6.6% wider than 16:9 for any given height. If you use a 1.9:1 aspect ratio screen, you have two options for the display of 16:9 material. One is to fill the screen vertically with the 16:9 picture and have small black bars equal to 3.3% of the screen width on either side. The other is to scale it up to fill the screen horizontally to fill the entire 1.9:1 screen. If you do this the projector crops 3.3% of the image off the top and bottom edges. It also eliminates the one-to-one pixel match with a 3840x2160 source. The scaling is enough to soften the picture ever so slightly and create some banding in a 1-pixel line test pattern, but in real life video at this resolution it is almost impossible to see the difference. You can easily switch back and forth between the two aspect ratio settings via a button on the remote. For those who already have a 16:9 format screen installed, the projector can be installed such that a 4K UHD, Full HD, or other 16:9 source can be displayed full frame with the additional 3.3% black bars falling outside the picture area onto the right and left portions of the frame. No high brightness mode. The VW285ES is ideal for classic dark theater installations. This is especially true for optimal viewing of HDR. 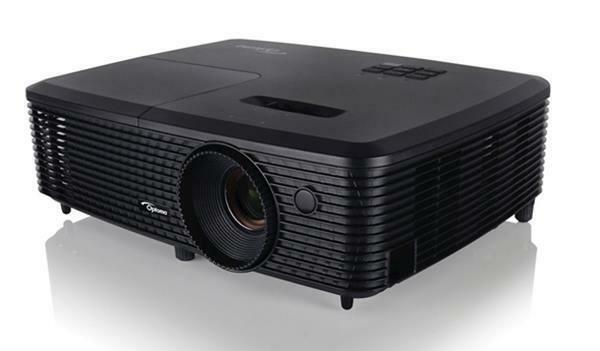 There are competing 4K-enabled home theater projectors that can put out a brighter video optimized picture, making them more flexible for ambient light viewing. However, again those models use pixel shifting with 1080p chips, and thus do not render 4K detail with as much precision. If you are going to use the VW285ES in ambient light, a good ALR screen is highly recommended. High Altitude Audible Noise. Fan noise in High Altitude mode is a bit too loud for a dedicated professional theater room. HA mode is required at 1500 m or about 4900 ft. elevation. Expect to be doing some extra installation planning to contain the noise. The Sony VW285ES delivers the highest quality overall 4K picture for the money that we have yet seen. That picture quality comes from a combination of extremely sharp 4K detail resolution, highly precise color accuracy, ample contrast and black levels, and exceptional brightness uniformity. The VW385ES is reputed to have higher contrast performance, and it may. But we see nothing that would qualify as visible contrast deficiencies on the VW285ES. Sony has designed a value trade-off into the VW285ES by withholding Picture Position Memory and making it available only on the VW385ES. If you want to set up a CIH installation with a Cinemascope screen, this is a big limitation; if you don't, this is an irrelevant feature that will never be missed. Sony's product promotion sheet highlights usage in both theater and living room, with great picture even in well-lit rooms. Though you may get a nice picture in ambient light, a high quality Ambient Light Rejection screen would be highly advised as a companion product if you intend ambient light use. Otherwise, a dark theater room will let you get the maximum bang for the buck from this outstanding 4K projector, especially for use in HDR. We expect the Sony VPL-VW285ES will be selling like hotcakes due to the unique value proposition of a close to perfect native 4K picture for under $5,000. For those who don't care about the features that it does not have, it is easy to give the VW285ES our strongest recommendation. While this looks great, and probably a worthy upgrade over my current Sony, I just cannot see buying a projector with a lamp at this point. Sadly Sony is still charging the different light source 5x premium right now. If this projector with the same performance was laser I would buy it with no hesitations, but its not and I can't. I see absolutely no reason to change up my 1080 projector until 4k laser is not considered a Bentley purchase. This for the same reason I will not buy any TV that is not OLED. Its just such a huge upgrade that anything else feels like a waste of money. Technically speaking the VW285 has no (creative) Frame Interpolation whatsoever for 4K program content. "Impulse" is merely inserting an extra black image (at the cost of brightness) and lets our brain do the actual, creative Frame Interpolation. No FI for 4K program content these days is rather inappropriate, IMHO. I am curious to know how much of a picture quality difference there is between this and my vpl-vw90es from 2010 that you guys reviewed. I also look forward to a review of the 385 - I am really hoping the move really does mean a sharper image. My old projector is great with great content but with less pristine material the detail and sharpness really fall off the cliff and its much less bright than these newer 4k models. Projectors will never achieve 'perfection' because the SOTA keeps moving ever forward. When making a decision on a purchase, allowing one relatively minor (in the scheme of things) issue stop you from enjoying this level of achievement TODAY, seems to be wasting the element most important to everyone, your life. This is not a very expensive projector, though it is also not cheap. But a $5K projector from 2010 cannot even touch this new Sony so advanced is this product. If you have that 2010 projector and you have the discretionary income to buy this new Sony, and you really do not need any more bells and whistles or a lamp source that will still be operational when you are very much older, then there is no better time than now to delight yourself with an upgrade of this magnitude. All Best fellow HT enthusiasts. Brandon, I'm in exactly the same boat and echo your sentiment...I have a couple year old JVC and shopping for a living room pj (which 4K laser would be perfect for) but the prices of them (>$4K street) is ridiculous when you consider that they can't even compete with their lamp counterparts at 1/4 the price...especially these first few models which are bandwidth handicapped and don't actually resolve any more motion resolution than 1080p...I'll pass. I'll be buying an "el-cheapo" 1080p pj used and sitting out the part where people pay 300% premiums for the tech....you can get a really descent pj for under $1000 today. I recently replaced my old 1080p projector with the vw285es and couldn’t be happier I have it hooked up to xbox one x and proejcting onto an elite screen and find that the colors and resolution are excellent. Hi, do you have any data on the reliability and failure rates of Sony and JVC projectors? I have had three major failures with JVCs over the past 8 years I have owned them, and each repair that’s out of warranty is in the high hundreds of dollars to, in one case, more than the cost of replacing the projector with an entirely new unit, so in the thousands. JVCs customer service was completely unsympathetic to my history with their products, so I am now considering Sony. Mark, no, we don't have failure rate or reliability data. Vendors tend to keep that data confidential. I can say that we rarely hear of anyone complaining about multiple failures of either Sony or JVC, unless there is something in the environment (dust, heat, power spikes, etc) that may be stressing the projector. I'm surprised to hear of your experience. Best of luck with your next unit!